Remember this beaut? 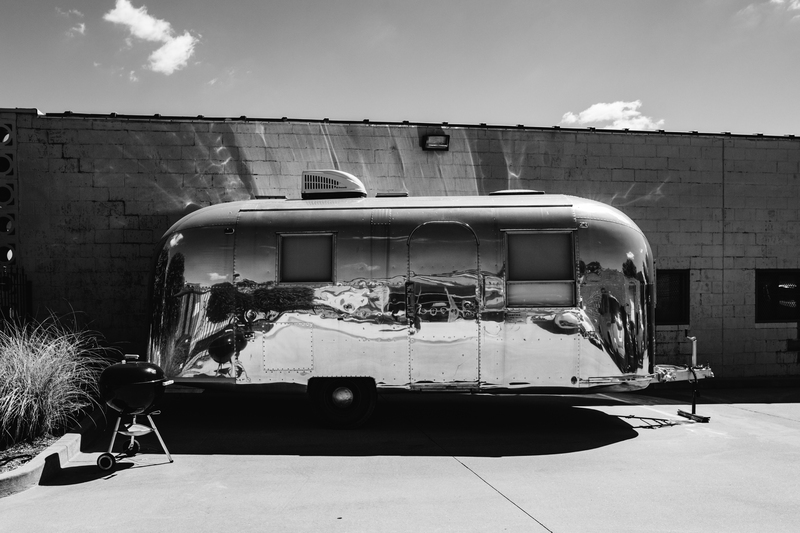 Kim Hayes’ gorgeous 1965 Airstream Safari is coming back to SPACE this Friday for a Valentine’s Day pop-up shop to help you find a special gift for that special someone. The Kabine (pronounced kah-been-uh) lived in our lot for a few months last spring while we outfitted her interior with new cabinetry to showcase Kim’s curated collection of paper, textile and found objects. “Kabine” is a German word that means “cabin,” and Kim uses her little cabin on wheels as a mobile studio and gallery. “I want the Kabine to have Gemütlichkeit, a word Germans use to describe a space that is cozy and inspires cheerful serenity, whether the Kabine is open as a Shop, Studio or Celebration,” Kim said of her snug little trailer, which will be parked in our front lot and ready to welcome guests from 11:00 a.m. to 6:00 p.m. Friday’s pop-up will focus on the element of paper, featuring postcards, paper, and a typewriting station. Kim will be bringing special Valentine’s Day stationery, and The Kabine will deliver your handmade card to the post office for you. Enjoy fruit water, and a comfortable spot to relax among the shopping. Kim’s going to light a fire burner on the lot, so you’ll be warm and full of Gemütlichkeit inside and outside the beautiful Kabine. To learn more about The Kabine, check out Kim’s Instagram feed, or visit her website, Two Girls and a Trailer. Hope to see you on Friday! When: Friday, February 12, 2016, 11:00 a.m. to 6:00 p.m. The Kabine, photo by R. J. Hartbeck.